While we haven’t quite achieved hovercrafts and robot butlers yet, state-of-the-art appliances are changing the way we interact with our kitchens. As our use of the room has changed, the technology that is used within it has had to adapt to meet our needs. Modern kitchen gadgets range from smartphone apps that tell you how fresh your eggs are to cutlery that measures your eating habits. As boiling hot water taps increase in popularity, even the trusty kettle is becoming a thing of the past. Some smart tools will cut down food preparation time and take the annoyance out of mundane tasks, whilst others help keep your cookspace clean and in order. However, all kitchen technology shares one common goal, to make your life easier. For the modern chef, tablets have become the go-to tool for looking up recipes and online how-to videos. However, fast track to the future and browsing the web using your bench-top might be the new norm. 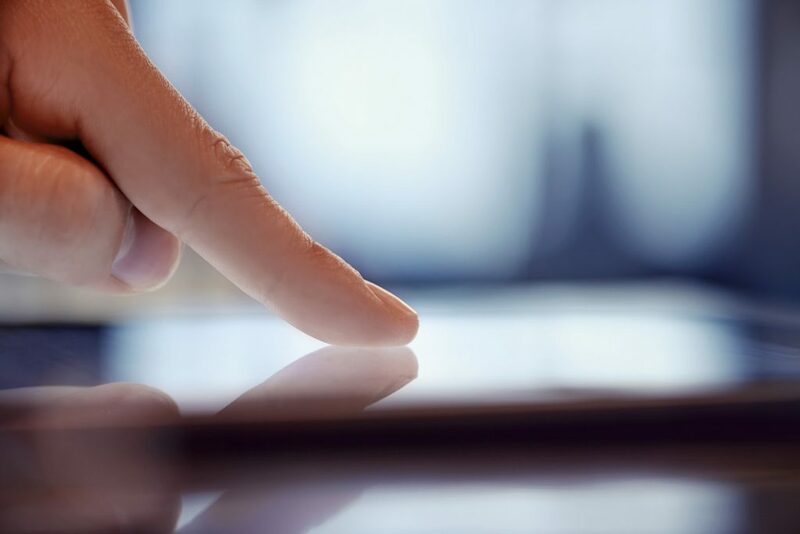 Although picturing yourself tapping on the dinner table to send an email might sound far fetched, touch projection technology turns household surfaces, like fridge doors and countertops, into giant interactive tablets. Instead of built-in displays, an overhead projector beams information onto an object and can be conjured or dismissed at any time, meaning you won’t need an entire remodel to get the latest kitchen gadgets. The kitchen may be ‘the heart of the home’, but why can’t it be the brains, too? The Internet of Things is making a new wave of smart kitchen tech possible. This increase in connected devices will make it easier for you to remotely monitor and control your appliances from a smartphone, completely changing the way we store, cook and consume food. Both big appliance makers and and new disruptors are starting to apply a combination of smart apps, cloud and other technologies to make the kitchen more responsive and intelligent. So whether it’s sensors that know how long the stove has been left on or handy voice-activated home hubs, one thing is certain, talking gadgets make the ideal sous chef. The promise of an invention that would drastically change domestic food production is decades old. Well, say hello to the 3D printer. This technology is already used to manufacture electrical parts and prosthetic limbs, but the possibilities for its use are expanding into the kitchen too. Instead of being loaded with cartridges that contain plastics, the cartridges in 3D food printers are filled with edible materials. It then dispenses the ingredients from nozzles, layer by layer, until a product has been created, perfect for any baker that wants to design their own architectural cake supports or sugar sculptures. Pioneers of this device hope that one day, household countertop printers will allow each family member to 3D print the dinner they want, when they want and the machine will also be able to take into account likes and dislikes, food allergies and nutritional needs. Find out how we could help design the modern kitchen of your dreams by contacting Black Rok Kitchen Design now and make an appointment to come and see us at one of our two showrooms in Uckfield or Heathfield.